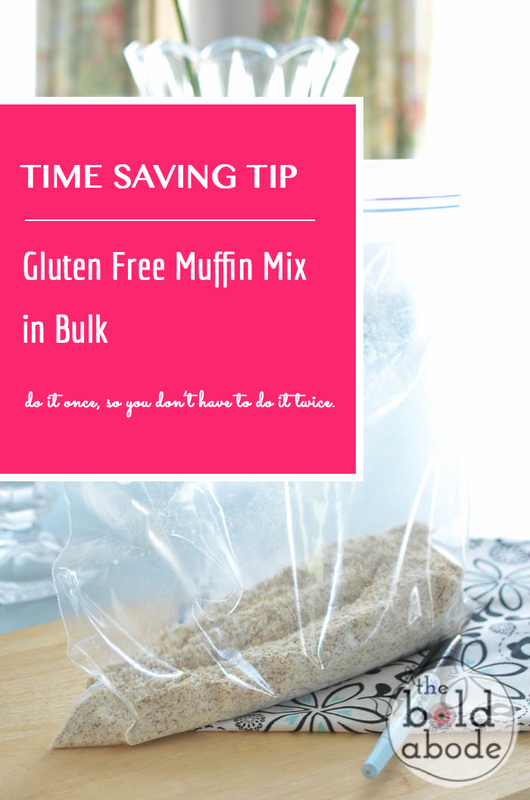 Time Saving Baking Tip: Gluten Free Muffin Mix in Bulk. Make it once and have it twice! I don’t think about time the way I used to. Before, there was never enough and I was always running out of it. That was before I read The Big Leap. Now I’m a changed woman. I’m serious as a triple, flipple heart-attack. Now, I know I have plenty of time. And I’ll make it through and to what I really want to do. 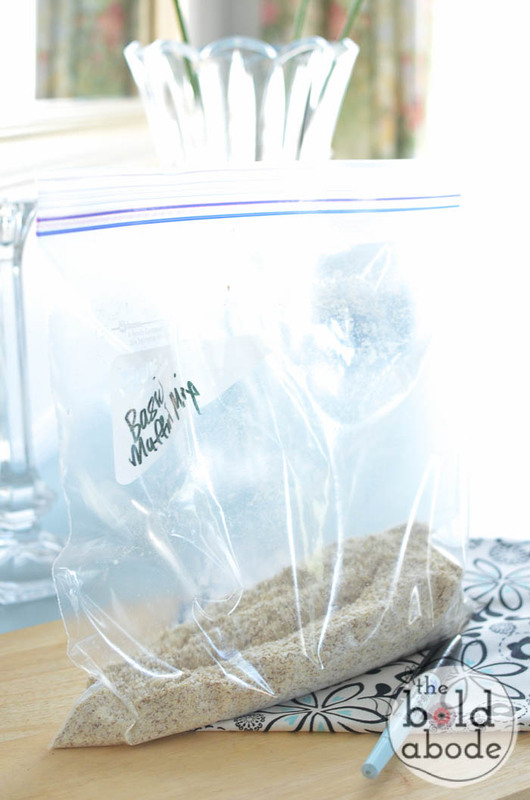 But, I still love a good “time-saver” or two and this Time Saving Baking Tip is one of my most adhered to. This recipe is one of my favorites. Mainly because you can dress it up in SO many ways! I’ll be sharing some of my favorite version in the future, so be sure to sign up for an account and get your weekly magazine, This Week in Bold! This recipe is for 2 muffin recipes. Double for your time, yo. Mix egg, milk and melted butter. Add to the 2⅓ cups muffin mix and combine. Super, duper, duper, duper easy. And then you have the extra mix for another day. You can even triple or quadruple the mix for even more saving of the time. Do you do bulk prep? Has it changed your life?